MUMBAI: The condition of Shiv Sena chief Bal Thackeray, who has been ailing for a long time, has been reported to be very critical, Indian media reported. 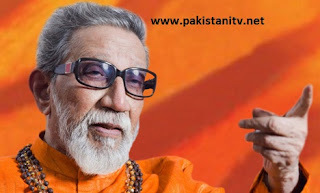 "The condition of Bal Thackeray is very critical. We are monitoring him very closely," the doctors attending to the Shiv Sena supremo told media. The 86-year-old Shiv Sena supremo has been suffering from lung, pancreatic ailments. Earlier in the day, former president Pratibha Patil had visited Thackeray at his Matoshree residence in suburban Bandra in Mumbai. Bal Thackeray's health has been a matter of discussion in the past couple of weeks, especially after he skipped the annual Shiv Sena Dassehra Rally at Shivaji Park and chose to address the audience in a pre-recorded speech.